Copenhagen is super cool, very friendly and utterly charming. You'll find that there's plenty going on: from world-class museums, world-renowned restaurants, world-famous architecture and design, beautiful old palaces and churches, plus fantastic cafes and bars. It’s great for families, it’s romantic, fresh and has 15 Michelin-starred restaurants - more than any other Scandi capital. It’s easy to see why Copenhagen regularly tops lists of the world’s most ‘liveable’ cities! And our pick of the best places to stay in Copenhagen, whether you're on a budget or want to blow the budget, are all perfectly placed for you to experience all this and more. Compact, green and easy to stroll around, Copenhagen is a wonderful city to explore at your own pace. One of the main reasons is that it’s liberally sprinkled with memorable and interesting landmarks, and seems to be mainly arranged around gardens and green spaces. Copenhagen’s planners kept aside 15 acres in the centre of town for wonderful diversions and beautiful views. On top of that, Copenhagen is magnificently colourful! The famous waterfront warehouses in primary shades - some of which have been converted into some of the best places to stay in Copenhagen - are just the start. There are numerous murals and splashes of colour in the most unexpected places, as well as castles which really look like castles are supposed to look, and of course Hans Christian Andersen’s bronze Little Mermaid statue is just waiting to welcome you. Copenhagen is a great place for an easy-going break and our Gurus are here to help with recommendations for the best places to stay in Copenhagen. Where To Stay - which neighbourhood? Christianshavn - if you fancy long walks along the canals, picturesque houses dotted along cobbled streets and a wonderfully romantic atmosphere in the evenings. It's also home to Freetown Christiana, a bohemian section of the city that was taken over by hippies in the 70s. Located just outside the centre of town, Vesterbro offers plenty of bars and restaurants to choose from - as well as being home to Copenhagen's Red Light District. Indre By, the inner city, is where you'll find Copenhagen's historic attractions - so it's an ideal spot if you're here for sightseeing. Kødbyen, literally translated as 'Meat City', is quickly becoming the city's hippest spot - modelled largely on the transformation of Manhattan's Meat District. Think hip, young and trendy. Frederiksberg is technically its own municipality, but for all intents and purposes is treated like part of the city. This affluent area is full of lovely parks and plenty of greenery, making it a good choice if you don't want to be permanently surrounded by the city's hustle and bustle. The Tivoli Gardens has the world’s tallest carousel, rollercoasters, dragon boats, graceful fountains, open grass to run around on, lakes with pagodas and millions of flowers. At night, it's lit up beautifully. Soak up the city's wonderful views: palaces seen from the canals, the fairytale Rosenborg Slot, the wonderful harbour with the new opera house and the glorious winter gardens of Ny Carlsberg Glyptotek. The changing of the guard at the four identical palaces of Amalienborg is good fun, but the real palatial experience can be had at Christiansborg which has many rooms open to the public, including the impressive tower and remains of two previous palaces which stood on this spot - both of them burned down only a few decades apart. If you're travelling with children then there's still plenty to do. The National Gallery of Denmark is a prime example, with exhibitions designed just for kids and workshops where they can have a go themselves. The National Museum also has a Children’s Museum with a replica viking ship you can mess about on, costumes to try, a 1920s classroom and plenty of hands on exhibits. There’s even a children’s section in Copenhagen’s Worker’s Museum. The excellent Experimentium is a must-see, home to around 300 exhibits and experiments designed to teach us all a few things about science and technology. After exploring the city a great day trip can be made to the Louisiana Museum for Moderne Kunst, stunningly set by the sea, and then on to Helsingør, the site of Hamlet's castle. Just to the northwest of Copenhagen there’s an Open Air Museum with around a hundred historic farm buildings dating from between 1650 and 1950 which have been collected from all over Denmark. If the Tivoli Gardens aren’t enough then you could also take the kids up to Bakken, the world’s oldest amusement park. Historic and fun. Plus, there’s a deer park where you can take a horse and carriage ride. Our pick of the best places to stay in Copenhagen really do have something for everyone. Whether you're looking for a cheap hostel-type option, or fancy a slice of top-notch luxury with the service to match. 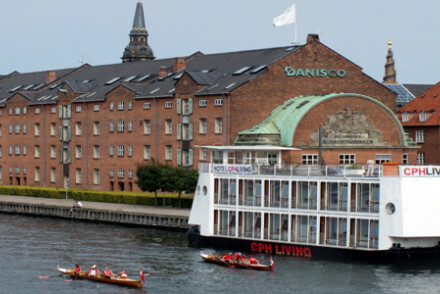 CPH Living is a hip hotel on a converted barge moored on the river in the lively dynamic area of Christianshavn. Floor to ceiling windows and minimalist interiors make for a unique experience. Handy for the nearby alternative village of Christiania, a social experiment in self rule, independent of the Danish Government and set up in the seventies. Nyhaven 71 enjoys the perfect location for exploring the city. 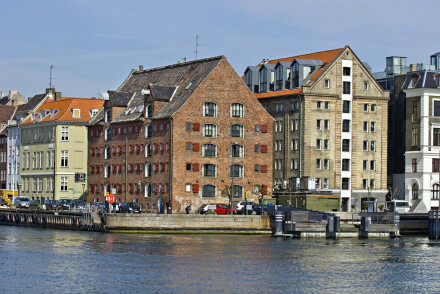 It's a smart warehouse conversion right beside the water and all of Copenhagen's best attractions are easily accessible. For something a bit more Danish, try the Hotel d’Angleterre, a stunning five star hotel converted from a palace, and complete with silk furnishings, marble bathrooms and chandeliers. Featuring a Michelin starred restaurant and opulent champagne bar. There’s also a full service spa, pool and gym. 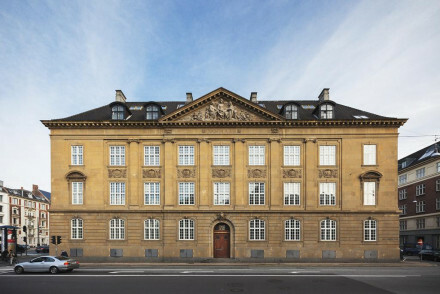 The First Hotel Skt Petri has been converted from a Latin Quarter department store into a bright and airy 268 room hotel. The interiors are by well-known Danish artist Per Arnoldi and there’s a fittingly modern restaurant with an excellent range of microbrewery beers. SP34 is a characterful boutique hotel in the Latin Quarter with 118 stylish rooms and suites and an amazing penthouse. There are two restaurants and four bars, plus a beautiful roof terrace. Just 500 metres from the Tivoli Gardens. 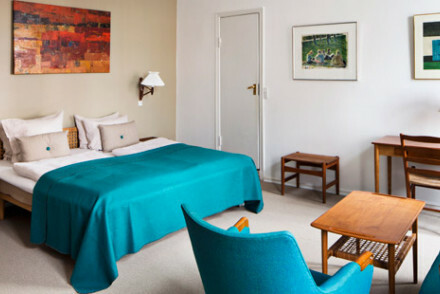 Fans of Scandi style will love the Hotel Alexandra, a 61 room hotel just 200metres from the Tivoli Gardens and packed with wonderful mid-century Danish furniture. There’s an excellent restaurant, a trendy bar and a library. 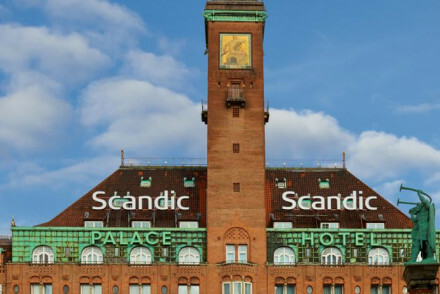 The Scandic Palace Hotel is an historic building close to the city hall which is, in turn, right across the road from the Tivoli Gardens. There are 169 light, fashionable rooms and suites and downstairs there’s an atmospheric bar and a Nordic restaurant. Ibsens Hotel is a great value boutique hotel in the colourful neighbourhood of Nansengade. There are plenty of restaurants and cultural attractions nearby and you’re right by an excellent transport hub, so you’re pretty close to everything. 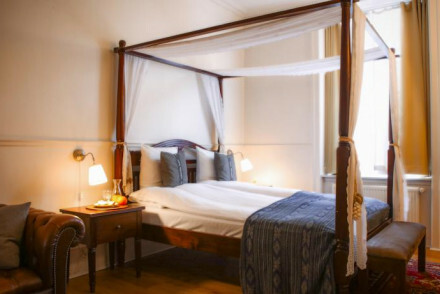 The Hotel Kong Arthur occupies a grand building on a quiet cobblestoned-street and offers 155 rooms and suites, a cosy sitting room and a conservatory dining room. There’s plenty of Danish design and you’re close to the palace and the Design Museum. 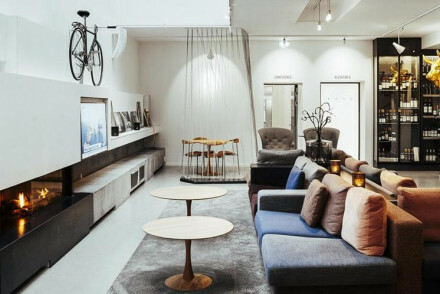 Copenhagen is known for design and the Nimb Hotel is high design. Just not necessarily in the Danish style. Converted from an early 20th century Moorish-inspired palace within the magical grounds of the Tivoli Gardens it has a fairytale appeal and lovely antiques. There are just 17 sumptuous bedrooms and a choice of drinking and dining options. 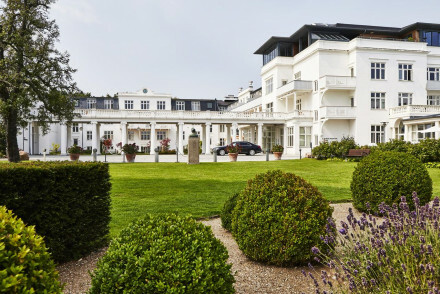 Hotel Danmark is a chic spot in a splendid location. The rooms are sleek and stylish, whilst there's also a trendy rooftop bar to enjoy. 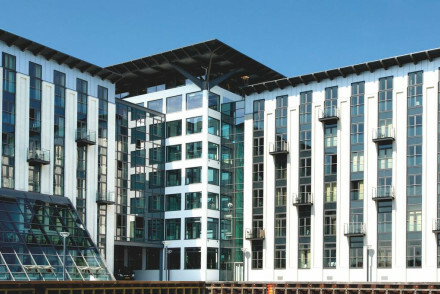 Waterfront Copenhagen Strand Hotel is a smart spot with typically Scandinavian accommodation. Tuck into wonderful Danish breakfasts each mornig to set you up for the day. 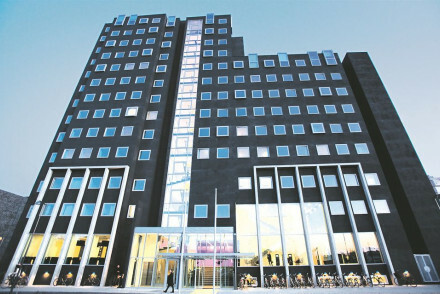 Hotel Herman K is one for design-lovers. 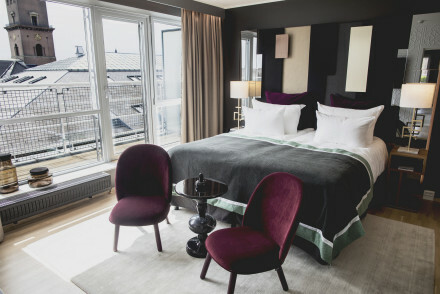 Their minimalist rooms are decorated in greys and whites, with large windows, whilst there's also a hip cocktail bar and a top-notch Nordic restaurant. Nobis Copenhagen is a special spot, set in a gorgous property with high-quality Scandi design on the inside featuring plenty of minimalist furniture. The restaurant serves up wonderful Nordic and French fusion cuisine, whilst there's also a spa and lovely bar. Hotel Sanders is a top-notch boutique stay that's ideal for those wanting a special city break. It boasts stylish interiors in neutral tones, with splendid cocktails to be enjoyed each evening on the rooftop terrace. The Andersen Hotel is a crisp, modern hotel in a hip spot. 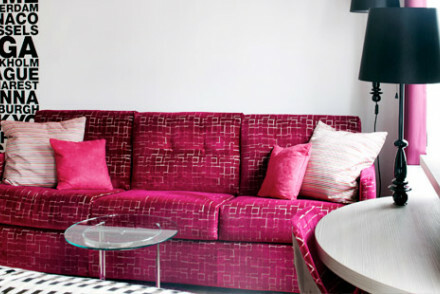 There are 73 rooms and suites with contemporary furnishings and splashes of colour - including quite a bit of hot pink. There’s a spa too. The Absalon Hotel is a stylish hotel on the edge of the trendy, and conveniently located, meat-packing district. With 161 individually styled rooms and a great cocktail bar. Wakeup is a huge hotel in central Copenhagen with 510 contemporary, white-washed, chrome-floored rooms with plenty of natural light and splashes of green. There are rooms of all shapes and sizes including some great suites, family rooms and family suites. The rooms on the higher floors have amazing city views. Guldsmeden Axel is a lovely spot, set in a smart property and boasting chic white rooms with Balinese interiors. Tuck into lovely cuisine in their organic restaurant and unwind in the rooftop spa - ideal for a romantic retreat! 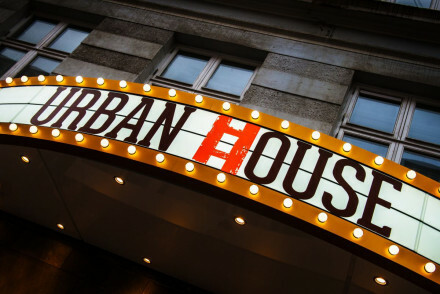 If you’re on a really limited budget then Urban House, which is in the trendy Vesterbro district and offers accommodation starting from €29 per night, is your best bet. It’s a hostel, with work space, a bar and even a tattoo parlour! There are a variety of room sizes, including dormitory style. The decor is minimal with stripped wooden floors. 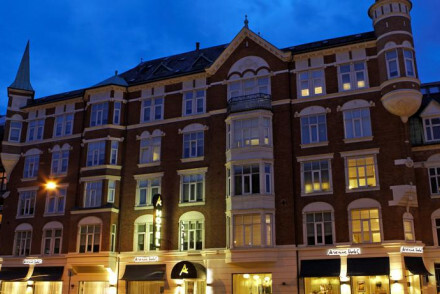 The Hotel Carlton Guldsmeden in Vesterbrogade is a luxurious place to stay with chic, carefully put together rooms and a good breakfast on offer. Manon Les Suites is a stylish stay with accommodation that's bound to impress. The views are wonderful, whilst there's also a large courtyard pool and a gorgeous rooftop terrace. 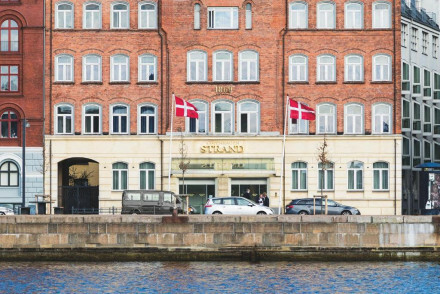 Copenhagen Island Hotel sits right on the waterfront in the outskirts of Vesterbro. The accommodation is sleek, stylish and modern, whilst there's also a small sauna and bikes to rent if you want to head around town. 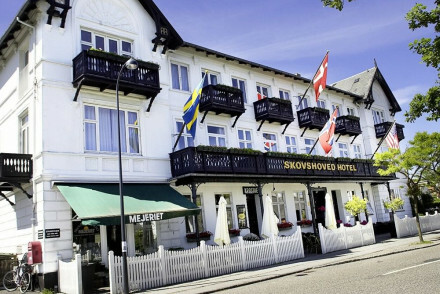 If you or your partner love the beach then the Skovshoved Hotel, an elegantly restored hotel on the coast in Charlottenlund, might be perfect. There are just 22 romantic rooms featuring white-washed walls, four-poster beds, wooden floors and sea views. There is also a Michelin recommended French/ Italian restaurant. The Ocean Hotel isn’t really a hotel at all, more of a B&B with seven spacious bedrooms. It’s in a pretty, residential suburb, which is also just minutes from the airport and yet there’s a metro stop nearby to whizz you into central Copenhagen. 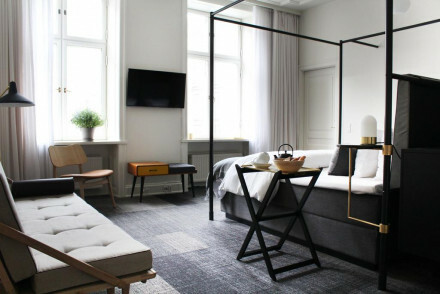 The Avenue Hotel is a 68-room hotel in Frederiksberg, converted from a graceful 19th century building decorated with stylish Danish designed furniture and Missoni throws. There’s a lounge with live music and fantastic cocktails. 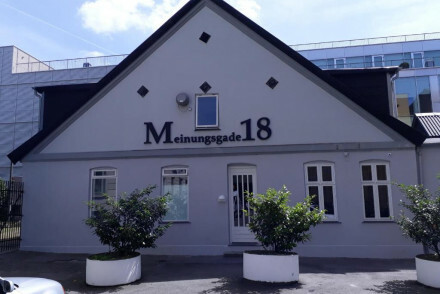 Located on the outskirts of the city, M18 offers simple but tasteful accommodation with excellent transport links. Enjoy indulgent breakfasts each morning to set you up for the day. Decided that an apartment would suit you better? Then take a look at the wide selection with our online booking partner, Booking.com. Copenhagen’s Kastrup Airport is served by both flag airlines and low-cost options. Coming out of the airport it’s very easy to catch the train into town which takes about 15 minutes to reach the central station. Copenhagen is very pleasant in the summer, when the days are long and the cafes and restaurants have their outdoor seating laid out - average daily highs are around 23°C or 24°C. Winter is cold, expect to experience freezing temperatures, but it’s so beautiful around Christmas that if you’re travelling then you won’t mind a bit. Autumn and spring are quieter as far as visitors go and there are some great hotel deals around. Refine your search to the most romantic hotels in Copenhagen. Alternatively, look for the best budget hotels in Copenhagen. Or the best hotels in Copenhagen for families. Contact one of our friendly Gurus for advice. A lively hostel in the trendy Vesterbro district of Copenhagen. There's a sociable bar, cool work space and even a tattoo parlour. Rooms vary from "shoebox" for singles to dorms. All are simple in style with minimal furnishings and stripped wooden floors. Ideal for groups or those on a budget. An ideally located central spot for the budget traveller. Head to toe contemporary spaces have white washed walls, dark chrome floors, splashes of green, and lots of natural light. Rooms, suites, and family suites cater to couples, families and groups. Sights nearby - Tivoli Gardens, Town Hall Square. A peaceful horse farm in the heart of the Danish countryside. Three distinctly decorated, modernly furnished rooms, each with a kitchen, bathroom and unique farm view. 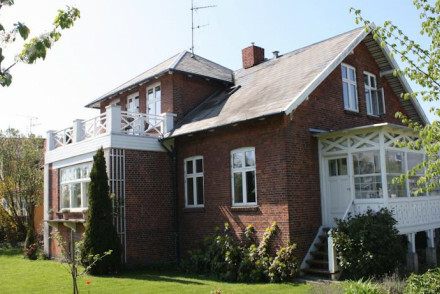 Guests can relax in the living room and enjoy the scenery, or on warmer days, go horse riding and unwind on Bastrup Lake beach. A funky boutique hotel which pays homage to Danish design throughout. Eclectic rooms and suites are sophisticated yet fun. Trendy bar and library, excellent restaurant, and walking distance to all the main attractions and shopping areas. City style the Danish way. Sights nearby - Just 200 metres from Tivoli Gardens and Town Hall Square. A charming B&B located in a pretty residential suburb. Bedrooms are homely and spacious. Located in an ideal spot for those with a late flight - just minutes from the airport. A quiet retreat with a metro close by to pop into Central Copenhagen. Families - No need to leave anyone at home - you can even bring the dog along! 19th Century boutique offering a great value stay in Copenhagen. Clean, modern, well-equipped rooms (some sleep four) feature Danish designs & Missoni throws. Hang out in the lounge for live music, fantastic cocktails and small bites. A great choice for city visitors and families. City Style - The classical perfection of the 18th century architecture meets cutting edge interiors by top Danish designers. Designer - Stunnig interiors by top Danish designers. 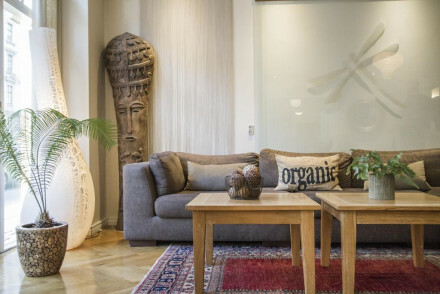 A chic eco hotel in the trendy Vesterbro district. Beautiful white on white rooms with four poster beds and drapes, some with balconies over-hanging the lovely garden. Teak clad lounge areas and a delightful open plan kitchen-cafe make welcome spot to relax in. Sights nearby - Tivoli Gardens amusement park is a must for all visitors to the city. Restrictions on children - No children allowed. A small hotel offering good value accommodation in the heart of Copenhagen. Simply dressed rooms are decorated in monochrome tones and are light and airy. Expect a warm welcome, indulgent breakfasts and excellent transport links. Local exploring - Ideally positioned in the centre of Copenhagen with excellent transport links. Sights nearby - View the iconic Little Mermaid statue. 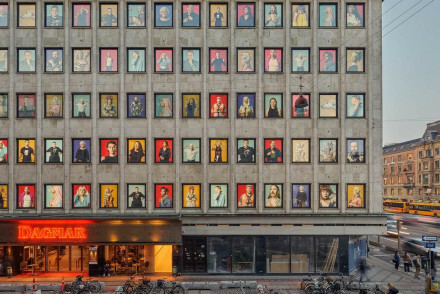 A modern and quirky central hotel featuring murals and artwork by established Danish artists. The jazzy open-plan lobby is the real focal point, with a multitude of comfy bright sofas, statement lamps and carpets, and a hip bar. Rooms boast enormous beds and great views. A hip and buzzing base! Good value no-frills boutique hotel in vibrant Nansengade neighbourhood, with good transport connections, culture and restaurants. Provides a great base for a simple weekend stay. Spa - Oriental Ni’mat Spa at Ibsens' sister hotel Kong Arthur. Sights nearby - World-famous Little Mermaid statue. 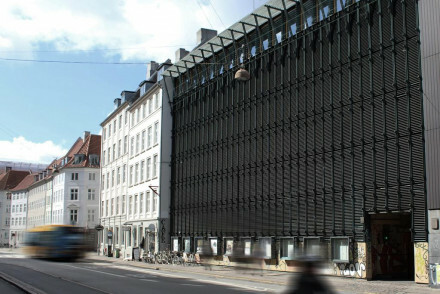 A grand building set on a secluded cobblestoned alley, near the peaceful Copenhagen lakes. The hotel has a cosy sitting room with fireplace and airy conservatory dining area. Bedrooms are uniquely decorated and featuring chic Danish design. A great spot with three fine restaurants. A chic waterfront property boasting an excellent central location. Rooms are typically Scandinavian in style with pale blue tones, wooden floors and plenty of light. Danish breakfasts are served in the stylish breakfast room and many of the city's main attractions are just a stroll away. Local exploring - Ideally placed for exploring the city on foot. Sights nearby - Admire the architecture of Christian IV’s Brewery, one of Copenhagen's oldest buildings. 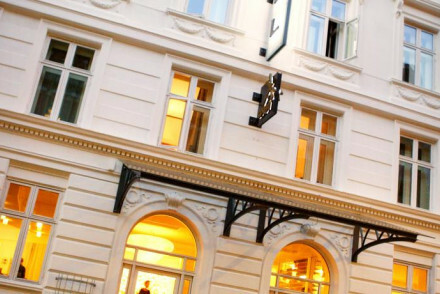 This perfectly located, reasonably priced, luxury hotel is a favourite in Copenhagen. Rooms are bright and airy with Jensen beds. A stand out buffet breakfast and an excellent range of microbrewed beers are offered. Business people, families and couples will all feel at home here. A slick choice. City Style - Wonderfully located in downtown Copenhagen, with interior colour schemes by renowned Danish graphic artist Per Arnoldi. Great walks - Superkilen is an urban park designed by some of Denmark's leading architects. A must visit. A wonderful boutique hotel in Copenhagen's funky Latin Quarter. Stylish rooms, suites, and a penthouse in muted natural colours with all the mod cons. Two restaurants, four bars and a roof top terrace. A characterful choice with plenty to do for couples and families. Roof terrace - Lovely roof terrace bar. 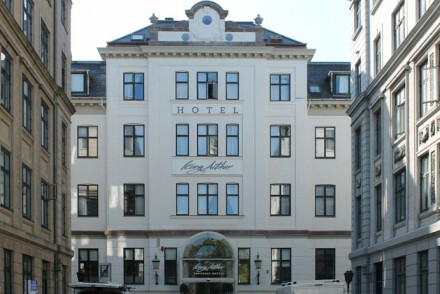 Sights nearby - The hotel is situated in Copenhagen's Latin Quarter and 500 meters from Tivoli. Great walks - Garden H.C Ørsteds Parken is a green oasis. A converted barge set in the hip area of Christianshavn and moments from museums, galleries, and nightlife. Its slick minimalist interiors and floor to ceiling windows enhance the dazzling river views. A unique hotel for city explorers. Unusual - A floating hotel - a boat on the river. Designer hotel in converted warehouse. Rooms feature wooden beam ceilings, contemporary furniture, artworks and leather furniture. Excellent restaurant offering international cuisine. Slick and chic, although standard room size means it is worth upgrading to two-floor suite. A chic hotel offering easy access to the city and smart design. Rooms range from compact doubles to luxurious suites. There's the option of sleek bunk rooms too for those on a budget. A trendy rooftop bar serves cocktails to guests and locals and has superb city views. Local exploring - Boasting a very central location, this is an ideal base from which to explore the city. Great walks - Wander through the local area and admire the half-timbered houses and cobblestoned streets. 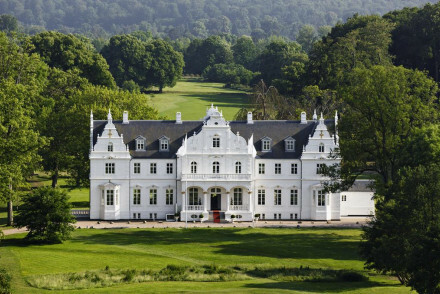 A fairy-tale like Castle situated just outside Copenhagen on the Danish Riviera. Contemporary rooms are simply styled with soft hues, plenty of light, striped head boards and luxurious bathrooms. An indulgent spa, two fabulous restaurants and sophisticated bar make this a special stay. 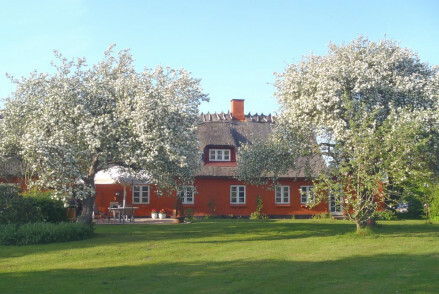 Country Escape - A secluded rural property on the beautiful Danish Riviera. Sights nearby - Visit the majestic Kronborg Castle. A crisp modern hotel in Copenhagen's hippest quarter. Rooms and suites have light wooden floors, splashes of pink, and contemporary furnishings. Spa treatments, meeting rooms, and funky designer spaces. A hip spot for trendy travellers. Balinese decoration and an organic restaurant, in the hip Vesterbro district A fabulously stylish spot for couples and spa breaks. Beautiful white rooms and suites with pale woods, Persian rugs, teak four posters, and some with private balconies. Enjoy the luxurious roof top spa. 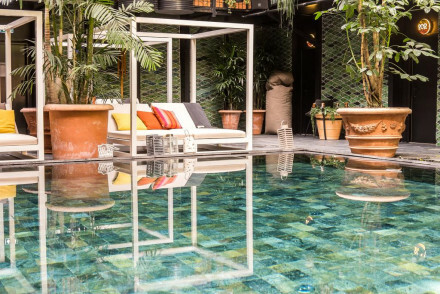 City Style - A slick Balineses-style hotel adorned with Persian rugs and Buddha stone statues, in the vibrant Vesterbro district. Spa breaks - Pure indulgence with a Balinese influence, their organic spa products are made in the kitchen every morning. Sights nearby - Near the Little Mermaid statue on the waterfront and opposite the citadel. 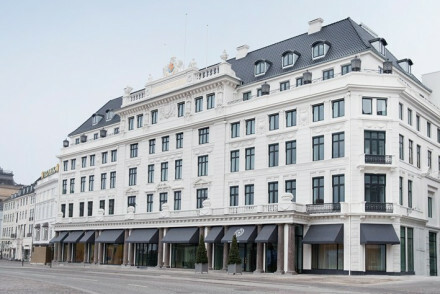 Set in a historic building near the city hall, Scandic Palace Hotel is ideally placed for a trip to Copenhagen. The rooms are comfortable and light with fashionable furnishings. Downstairs, the restaurant serves Nordic cuisine and the hotel's atmospheric bar is a great place to enjoy a cocktail. Local exploring - Right in the heart of the city centre, it's perfect for exploring the sights and sounds of Copenhagen. Great walks - The nearby Tivoli Gardens are ideal for a relaxed afternoon walk. Sights nearby - Right beside the Hans Christian Andersen Fairy-Tale House. 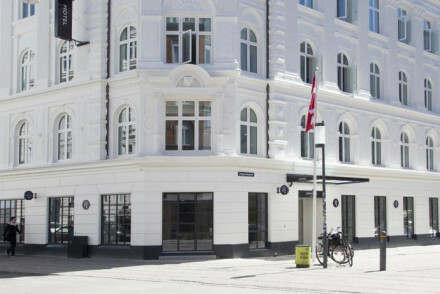 Located on a buzzing street in Vesterbrogade, the hotel is located in a trendy district of Copenhagen. Four poster beds, lush feather duvets and ornate Persian carpets - bedrooms are comfortable with a luxury feel. Enjoy a good breakfast in bed before exploring this vibrant city. Eco break - Boutique, eco friendly hotel with an entirely organic breakfast to boot! A huge waterfront hotel offering slick service and contemporary style. Rooms are uniformly designed with floor to ceiling windows, modern art and white washed walls. There's a small sauna and gym, bikes to rent and easy access to the city's main attractions. 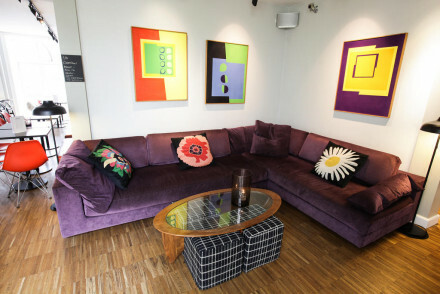 City Style - A sleek contemporary hotel just a short walk from the trendy Meatpacking District. A country and seaside retreat just outside Copenhagen. It oozes romance and elegance, but with a hip twist. Ethereal bedrooms with white washed walls, four poster beds, wooden floors and sea views. This chic, historical, family run hotel is a perfect place to stay, whoever you are. Great walks - Walk to two of Copenhagen's best beaches Bellevue strand and Charlottenlund beachpark. Fishing - We will arrange guided tours in the historic fishing camp Skovshoved. A stylish hotel on the edge of the trendy meat-packing district. Individually styled rooms feature warm hues, sash windows and contemporary bathrooms. A trendy bar is the ideal place for an evening cocktail. A Scandinavian styled breakfast fills you up for city exploration - right on your doorstep. 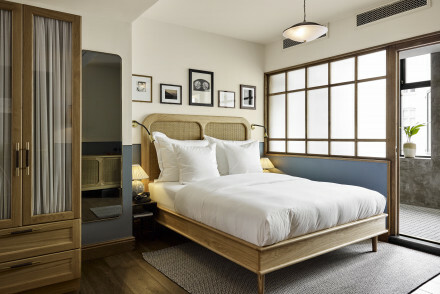 City Style - A hip hotel with a stylish bar on the edge of the city’s famed Meatpacking District. Sights nearby - A short walk from Stroeget and City Hall Square. Rest and recharge at this stately Nordic hotel and spa. There is plenty of attention to detail in the soft interior design of the rooms and suites, with the best offering French doors opening onto a balcony and seaviews. The bright and inviting spa has a range of luxury packages. An ideal spa break. A contemporary hotel boasting a very central location. Smart rooms are decorated in soft greys and stark white with minimalist furniture and large floor to ceiling windows. A trendy cocktail bar and exemplary Nordic restaurant make this an attractive choice. City Style - A grown-up and stylish property featuring a vibey cocktail bar and restaurant. Sights nearby - Admire the renowned Little mermaid statue. A stylish hotel set surrounded by lakes in a central part of Copenhagen. Contemporary suites feature large expanses of glass opening out onto great city views. There's a large courtyard pool and atmospheric rooftop. With easy access to all parts of the city this is an ideal city base. City Style - Boasting stylish suites, a courtyard pool and rooftop terrace this is a hit with the young and fashionable. Great walks - Step out of the hotel and take a stroll around the scenic lakes. Sights nearby - Visit the striking Amalienborg (the queen's winter residence). Local markets - Sample the wares at the food stalls in Torvehallerne. A grand hotel set in the heart of the city. Expect Scandi design at its finest in this luxurious property. Rooms feature high ceilings, block colouring and minimalist furniture. A fabulous restaurant serves a fusion of Nordic and French cuisine, there's an elegant bar and a small spa too. Local exploring - A luxurious base ideally placed in the centre of the city just opposite the Tivoli Gardens. Sailing - Hire a boat and cruise along the picturesque canals. Great walks - Stroll through the scenic Tivoli Gardens. An effortlessly elegant boutique in the heart of Copenhagen. With soft furnishings, neutral tones and fine attention to detail, each room comes with its own charms. The roof terrace serves knockout cocktails, while downstairs the bistro style restaurant never fails to impress. A timeless classic. Total relaxation - Cocktails on the rooftop, gourmet cuisine downstairs and an in room massage- what could be better! Stunning 5* city hotel. Elegant rooms have chandeliers, silk furnishings, enormous marble bathrooms and contemporary touches. Full spa, indoor pool and gym. Sublime cuisine in Michelin-starred restaurant, and opulent champagne bar. Luxurious, plush and exclusive. Early 20th-century Moorish-inspired palace becomes a sleek new design hotel. The exteriors carry a fairytale appeal, but the inside is all smart sophistication with antiques, warm wood floors and bold modern pieces. Sumptuous bedrooms and gastronomic feasts in all of the great restaurants. 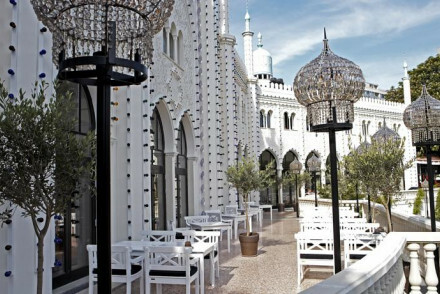 City Style - An ultra chic Arabian fantasy castle, nestled in the lovely Tivoli Gardens, with glass chandeliers and Øland granite stonework. Foodies - From Nimb Brasserie to Fru Nimb and Nimb Terrasse this hotel has a multitude of fantastic dining (and drinking) options. Sights nearby - Edvard Eriksen’s diminutive Little Mermaid statue can be viewed from Langelinie promenade, a twenty minute cycle from the hotel. Great walks - Stroll around the ajoining Tivoli Gardens, these historic gardens date back to 1843.